The Beginning of the End of the AKP? The US has reportedly given approval to sell 60 F-16 fighter jets to Taiwan. If the deal goes forward, it would be the first time that the US has sold advanced fighter jets to Taiwan since 1992. China is highly opposed to any US arms sales to Taiwan. China recently sent two of its own fighter jets across the median line dividing the Taiwan Strait for 10 minutes. Taiwan’s president took to social media to share her order that the Taiwanese military expel any future Chinese incursions by force. With the competition over the South China Sea warming up and with the US losing ground in the region this move will only further accelerate tensions. 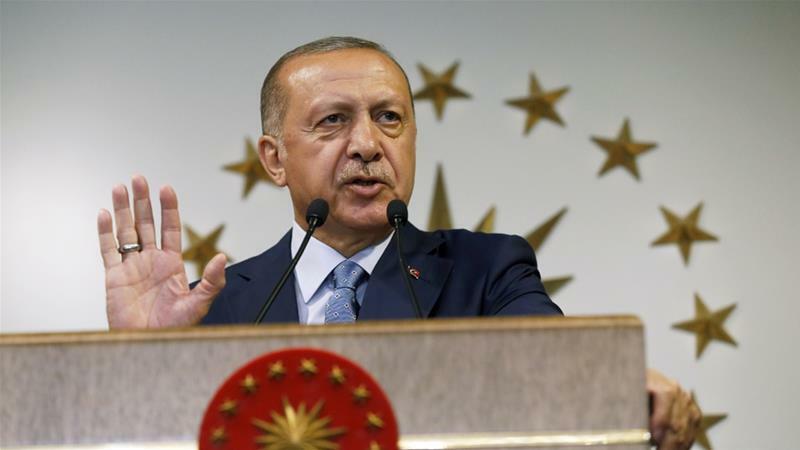 Turkish President Recep Tayyip Erdogan won yet another election on March 31. Twelve parties competed for thousands of local government posts at the municipal and provincial level. According to preliminary results (official results might not be available for many weeks) the Justice and Development Party (AKP), that has governed Turkey since 2002, gained 44% of the votes in mayoral contests, ahead of the main opposition Republican People’s Party (CHP), a secularist party, with 30%. Trailing behind was the AKP’s ally, the National Movement Party (MHP) at 7%, the CHP’s nationalist ally, the Good Party, at 7%; as well as the pro-Kurdish Peoples’ Democratic Party (HDP) at 4%. The AKP also won 41% of the overall vote for the provincial assemblies across the country. Crucially the AKP lost the capital, Ankara, and appears to have come second in the country’s largest city, Istanbul. Indeed, the AKP’s candidate in Istanbul, former Prime Minister Binali Yildirim, said that his CHP challenger, Ekrem Imamoglu, received 25,000 more votes than he did but that election clerks declared 216,000 votes invalid. As a result, both parties are calling for a recount. The shift in Turkey’s urban area, the first in a quarter century, stemmed in part from the deep economic strain which many Turkish citizens are feeling — and which more and more are blaming on the government. A rare glimpse into Saudi Aramco – the Saudi Arabia’s state oil company contained in a bond-offering document shows that its revenues in 2018 was $355.9 billion. Last year, with profits of $111.1 billion. It produced 10.3m barrels per day of crude oil and is officially the most profitable business in the world, racking overtaking Apple. The scale of Aramco dwarfs every other corporation in the world, but it is also among the most secretive, under the ownership of the Saudi monarchy. It is the largest oil supplier on the planet and has exclusive access to nearly all of Saudi Arabia’s vast hydrocarbon reserves, which are among the world’s largest.